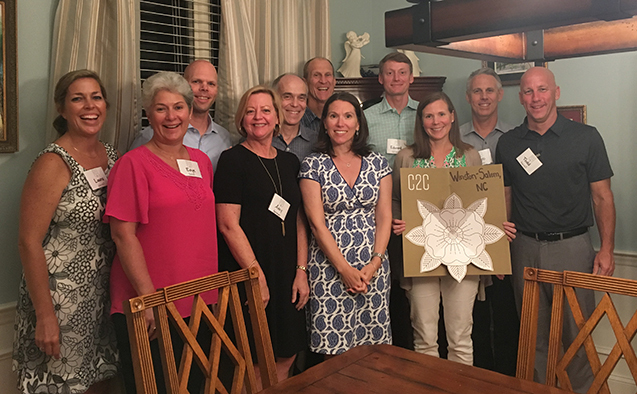 Call to Conversation began last fall as a pilot program of moderated, small-group dinner discussions with alumni and parents. 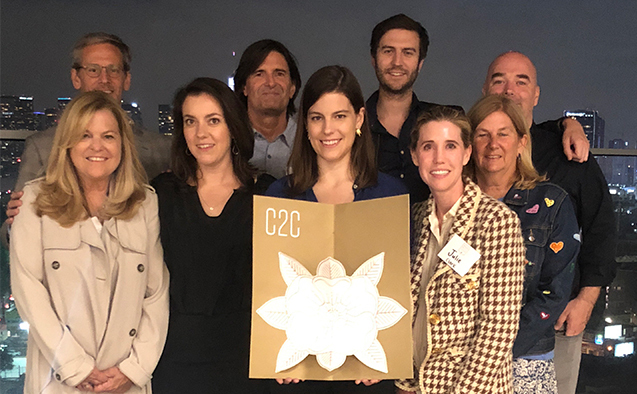 After more than 150 conversations in more than 50 cities – from Kauai, Hawaii to London – Call to Conversation has become an international movement with one goal: to spark more meaningful conversations. 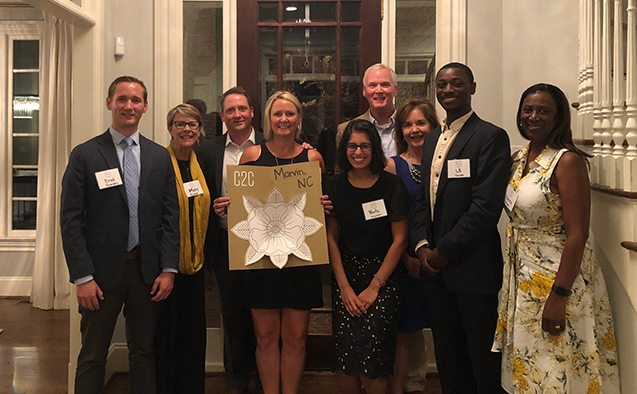 Now the table is set for the entire Wake Forest community – on- and off-campus – to share a meal, discuss a single timely topic, and form relationships based on empathy and mutual respect. Young alumni gathered at the home of Cierra ('10) and Evan ('09) Raleigh. 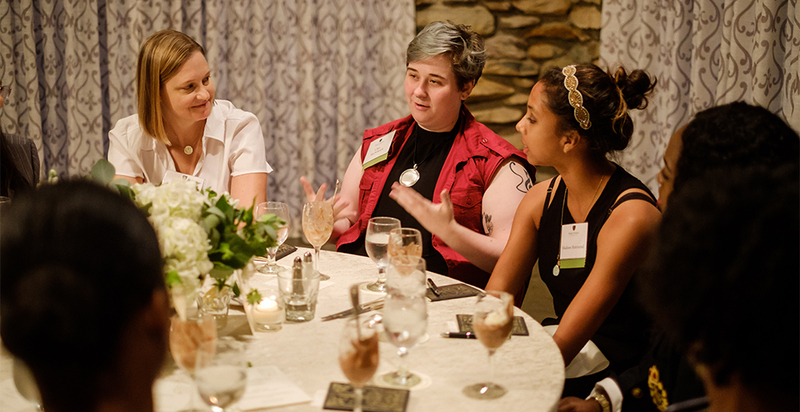 In August, The Wall Street Journal featured Call to Conversation as part of a story about colleges across the country working to promote conversation and connection among students, parents and alumni to combat incivility and polarization. Read the story. As one of the first students to participate in a Call to Conversation, Franco Sto. Domingo said the experience nourished his body and his spirit. “In a time where keeping quiet is something that does more harm than good, we need events like these to bridge what divides us.” Franco Sto. Domingo, a senior biology major from Cheraw, S.C.
Sto. Domingo’s group of 10 students gathered around a table to discuss the topic of leadership and character. When their moderator asked them to reflect upon a time when they witnessed good character in action, the students shared stories about their parents, a pastor, a physician and a custodial staff member in one of the first-year residence halls. As the conversation unfolded, participants began to talk more openly, share personal narratives and insights, and truly listen to one another. Call to Conversation events are not meant to be polarizing. Many of the topics that have been discussed during the pilot program – leadership and character, community and developing champions – are intentionally chosen to bring people together. But when differences of opinion came up in the course of the conversation, instead of retreating to ideological corners, students peacefully navigated these situations, having already established a level of caring and trust for one another. For Dalia Namak, the Call to Conversation experience dovetails nicely with her career aspirations of becoming a diplomat specializing in U.S.-Middle Eastern relations. 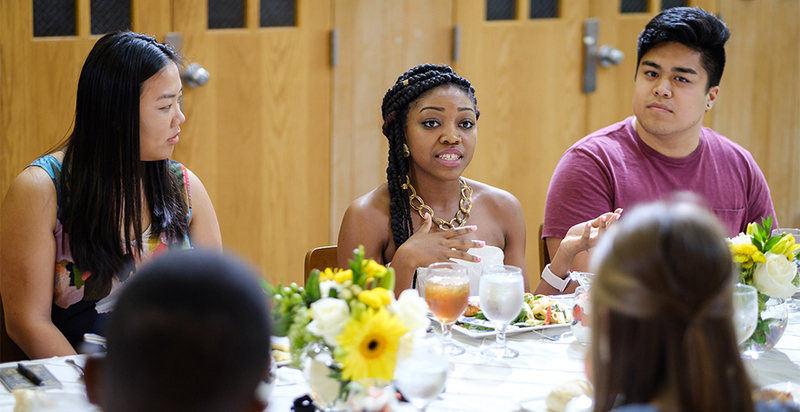 So far, more than 1,200 people have experienced a Call to Conversation dinner. 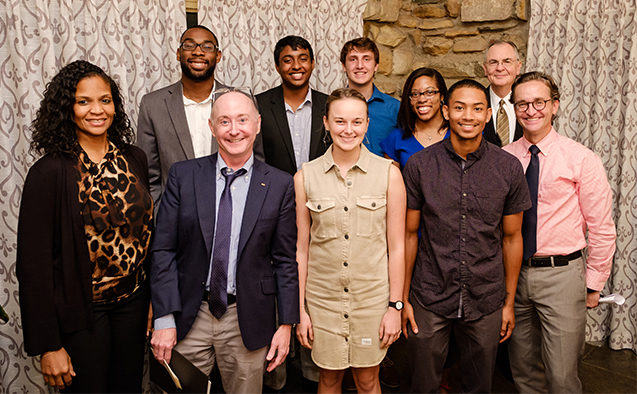 Over the course of this academic year, Wake Forest aims for 1,000 undergraduates and an additional 2,000 parents and alumni to participate. Read more about their experiences here. “The Wake Forest Call to Conversation program is a well-thought-out, well-intended universal program that is exactly what all of humanity needs at this moment in history: to know that we are all alike and connected, not different and disparate.” Bob Graustein, a Wake Forest parent participant from Harrison, N.Y.
“I applaud Wake Forest for recognizing the problem and taking action to foster change in our society at-large,” said Graustein. Dominic Peters, a sophomore who plans to major in philosophy, plans to keep the conversation going. Allison McWilliams ('95) and Madison Hammond ('20) listened to Char Van Schenck ('19) at the campus Call to Conversation launch. More information about Call to Conversation is available at c2c.wfu.edu. In President Hatch’s 2018 Commencement address, he challenged graduates to practice the decency, humility and intellectual honesty necessary to learn and acknowledge other points of view. 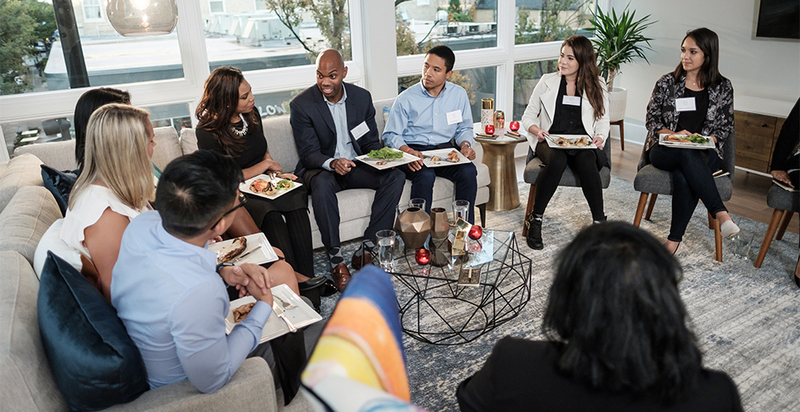 The Call to Conversation program demonstrates that it is not only possible to break bread with people of different perspectives, but even enjoyable. Read his speech.